When BuzzFeed announced Thursday it had hired its first executive creative producer to start ramping up content for brands, we didn't think the results would come this quickly. BuzzFeed is working with NBC and American Express on a Leap Day stunt that will see NBC create content that will replace about 30 minutes of national ad spots during prime time Monday. The Leap Day stunt is no small feat considering a typical hour of prime time has around 16 minutes of commercial time. In its first sales partnership since NBCUniversal's $200 million investment, the BuzzFeed creative team will create shareable content for social that will live on BuzzFeed and the participating shows' websites and social media channels. The multiplatform partnership will continue through Thursday across NBC's digital platforms, including over-the-top apps. The stunt will begin on the Today show and continue into prime time during the return of Blindspot and The Voice. 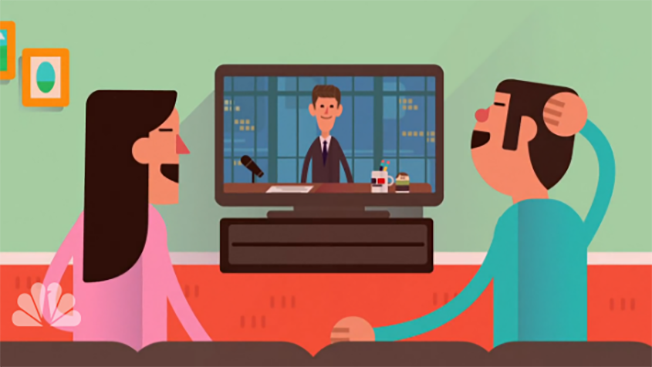 The campaign culminates on Late Night with Seth Meyers. Some of the content features Today hosts Kathie Lee Gifford and Hoda Kotb, a mini-documentary of The Voice's Season 9 winner Jordan Smith, and the cast and creator of Blindspot discussing fan theories. "We're partnering with NBCUniversal in this first-of-its-kind campaign to provide viewers with relevant, exciting content across broadcast, digital and streaming properties to reinforce our message: American Express gives you more," said Joe Bihlmier, vp, global media at American Express. "This campaign also aligns with our customer-centric approach to add more value for our customers where we know they are," he said.